Razor sharp 440 Stainless Steel makes this blade a useful cutting tool for your targets, or wall display. 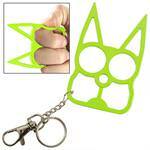 Three cutouts are incorporated into the blade, one of which is wrapped to the spine with neon green nylon ribbon. Both leather and neon green nylon make the grip easy and natural to handle and gives this Zombie Killer an even tone of extreme cutting power. Two cutouts are balanced on the pommel. 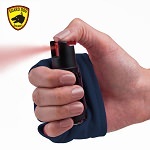 A thick nylon sheath with shoulder strap is included free. 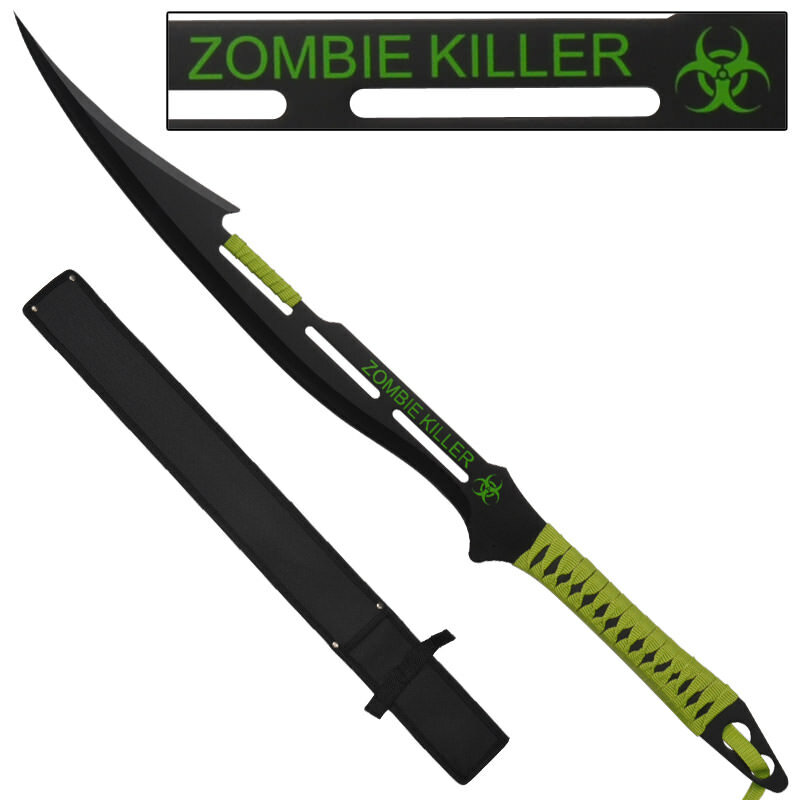 The blade is written with the wordings Zombie Killer and a green bio-hazard symbol.